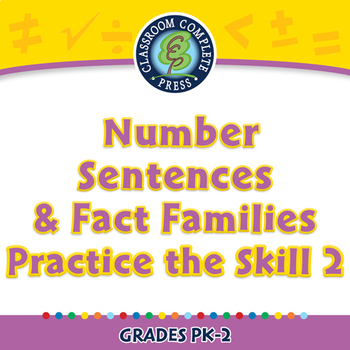 For understanding Number Sentences and Fact Families of Algebra, this chapter mini provides curriculum-based content in the form of practice the skill timed drill activities. This activity asks the student to determine whether the provided number sentences are true or false. Also included are math tools.